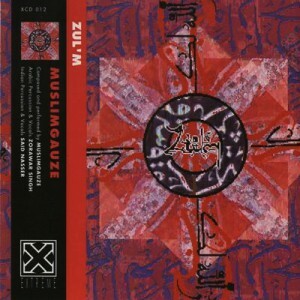 Manchester, England, is the home of many great bands, and it is not surprising that MUSLIMGAUZE should also have its origin in this now famous city. 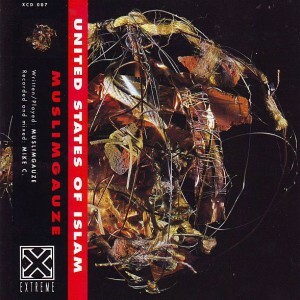 Like all great Manchester groups, the music of MUSLIMGAUZE is dynamic and different. The sounds of Arabia are captured in confident rhythms, pulsating bass drum and an enveloping ambience. 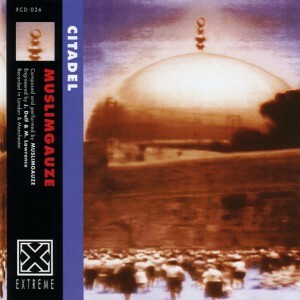 The musical creativity have progressed over the past decade to become one of the most inspiring sounds of the nineties. The Arabian countries, which are a catalyst for this release, are captured in each song. Such a picture can only be painted by MUSLIMGAUZE. 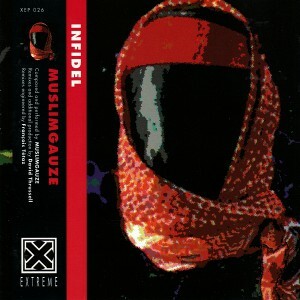 MUSLIMGAUZE already have ten releases to their credit. 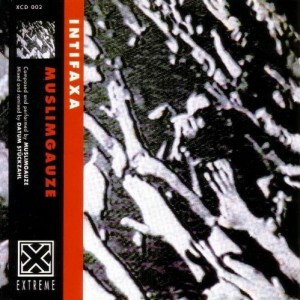 Intifaxa offers 64 minutes of all new music, seven songs which make a complete album. It is enough to let the music speak for itself. Intifaxa is a contemporary vision of world music. Western and Arabic rhythms create a chilling seductive state.